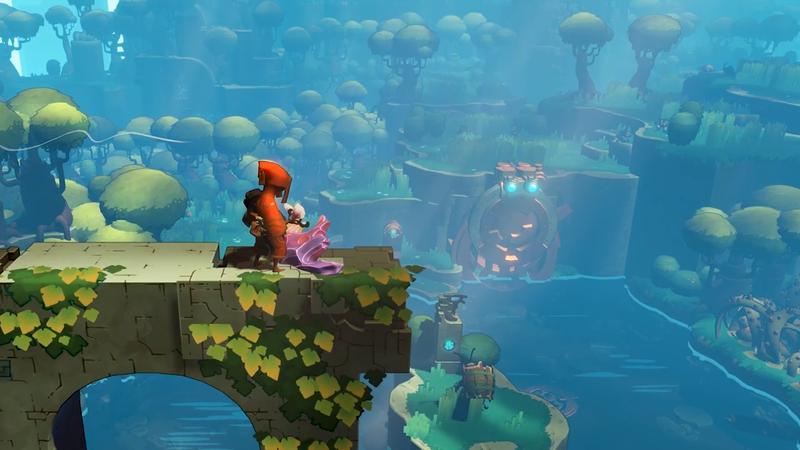 Perfect World Entertainment and Panic Button announced a partnership to bring games from its portfolio like Hob and Torchlight to new platforms, and today that means players have something fun to look forward to on Switch. Starting today, fans can pre-order Hob: The Definitive Edition on Switch for $19.99 before it releases this April. This single-player adventure was developed by Runic Games and debuted on PlayStation 4 and PC in 2017. Panic Button has worked on a loving version of the port to make sure it functions fantastically on Nintendo Switch, as it includes improved controls and game features. Hob sends players on a journey through a lost civilization teeming with strange creatures and plenty of puzzles to solve throughout the world. The Switch version gives adventurers new ways to interact with the game world, like new camera controls, improvements to the game's UI, new quality of life improvements, and features like HD rumble and touch screen functionality that could only be done via Switch. There's a full list of enhanced features coming when the game launches. The team is also putting together an enhanced version of Torchlight II, which will also be hitting consoles later this fall. That means console fans will finally get at taste of one of the PC's best action-packed dungeon crawlers, so great news for everyone. There are additional details coming soon for Torchlight II's release, but it looks like Perfect World has opted to focus on spotlighting Hob at this time. If you head to the Nintendo eShop to pick up Hob on Switch and purchase now through April 17, you'l get 10 percent off the original retail price of $19.99 as well. Hob: The Definitive Edition is set to release on April 4. Hob was fantastic. Definitely give a shot if you've never played it.